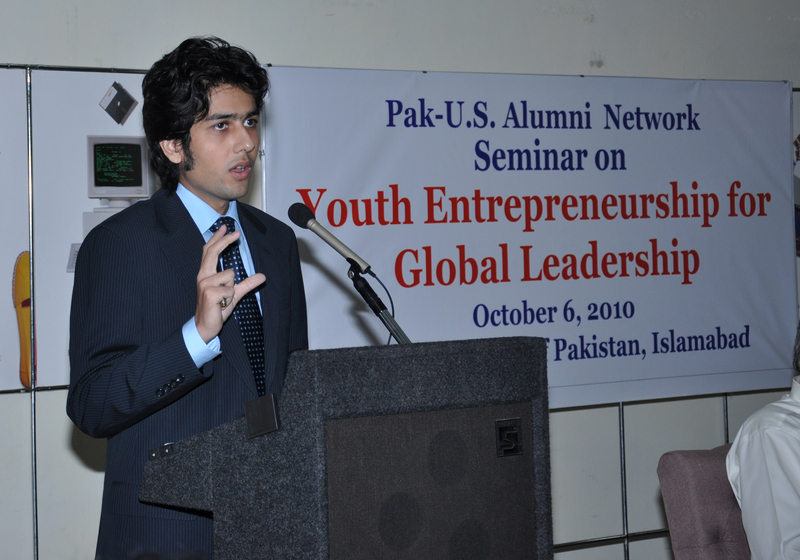 On 6th of October, 2010, the US Embassy in Islamabad organized a seminar titled ‘Youth Entrepreneurship for Global Leadership’ at the National Library Complex. As an alumni of the US State Department, I was asked to present the recommendations summary at the event. This was an excellent initiative by the US Embassy. 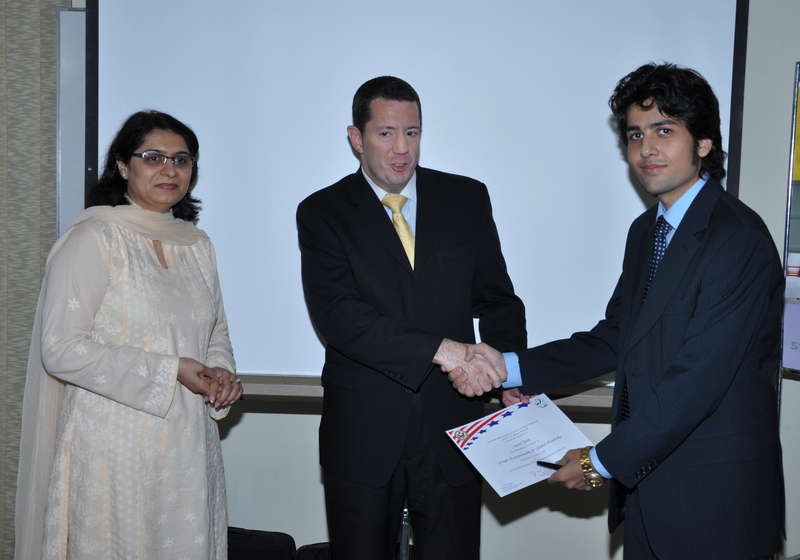 The problems faced by Pakistan can be resolved by promoting a ‘start-up culture’. It was unanimously accepted by all the panelists that Pakistani youth needs a refreshed mindset, one where entrepreneurship takes weight over regular jobs. 1) The general mindset of the people needs to be changed. Young people are encouraged to find jobs rather than stepping into the market as an entrepreneur. The alumni network and relevant bodies should make efforts to promote the entrepreneurial culture in schools and universities. 2) Creating networks and societies of potential entrepreneurs and established entrepreneurs. Networking is one of the most important tasks when setting up a business, no matter what the scale of business is. Knowing relevant people in the field is always a plus and helps the business grow. 3) Need for a stronger resource management system. Resources in terms of investment and human resource are scattered in the Pakistani economy. Bringing them on a single platform could encourage entrepreneurship and ease the process of setting up small and medium enterprises. 4) Entrepreneurship is not an easy occupation. It does not result in immediate profits, therefore, a healthy reserve should be maintained before stepping into the market. It also requires more work than a regular job. Difficulties include looking for finances and overcoming corruption. 5) The e-commerce revolution has opened various new opportunities. Setting up an online business can be much cheaper than than a regular manufacturing or trading business. Work form home websites are available where people can earn a healthy sum sitting at home. I saw ur contribution at express website and told my self that you seem like a familiar face. then i recalled, we were in o levels city together! This is very helpful and relevant! Thank you for posting!